I think there are multiple layers to the manifestation of inner seasons. 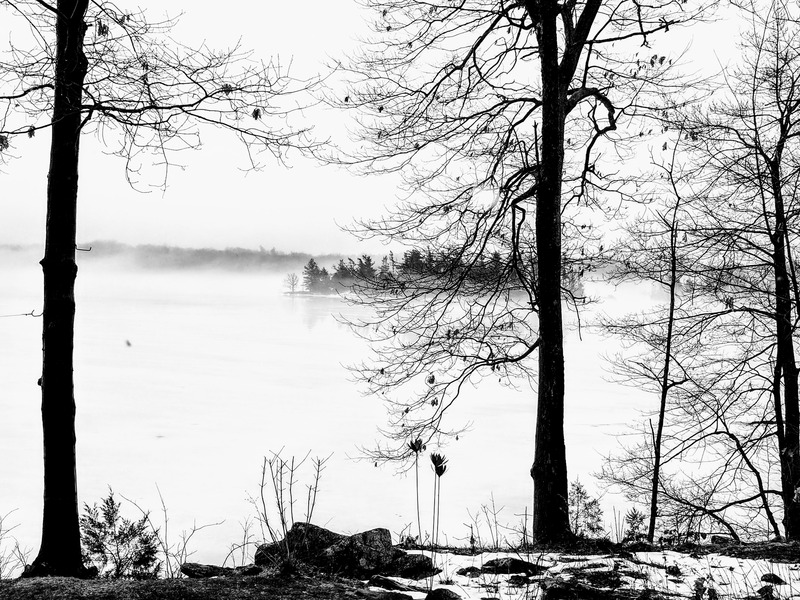 On occasion in the past I have been very conscious of a specific internal season, particularly of winters of the soul as times of dormancy, retreat, grieving even. This is one layer and, from this perspective, I see myself now as in a transition from a winter that has been a time of mystery, of deep and subtle transformation, of stillness and silence, of hidden growth requiring patience and faith. What has been interesting is that, in paying attention to the shift in nature these last weeks, I sense that it is not some human failing that we rarely transition smoothly; if this is the path nature takes then it seems to me that the two-steps forward one-step back dance is an inherent aspect of the character of change. 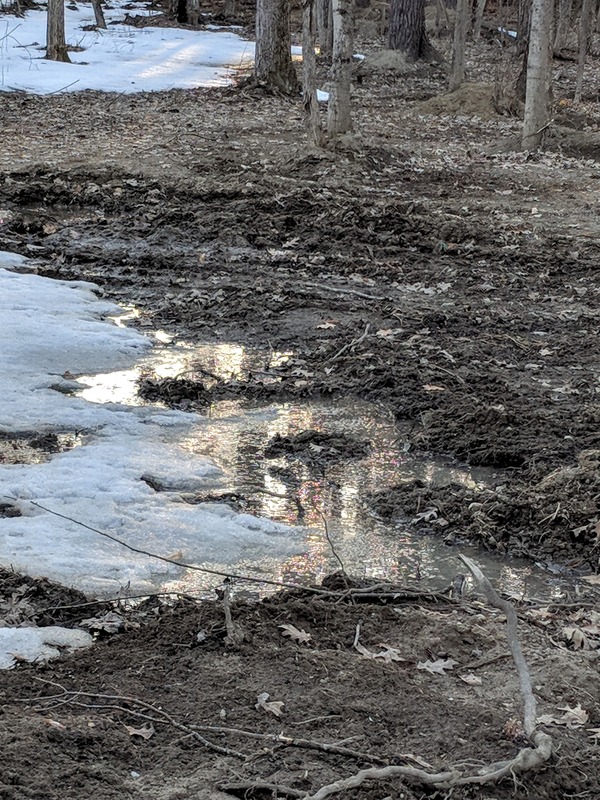 I see the land, still frozen, steeping in the thaw water that it is not yet ready to absorb, grungy, muddy, yet with hints of the possibility of spring. And I realize that I am content to live this within my own transition, to steep in a flood of insights that I am not yet fully able to soak up. 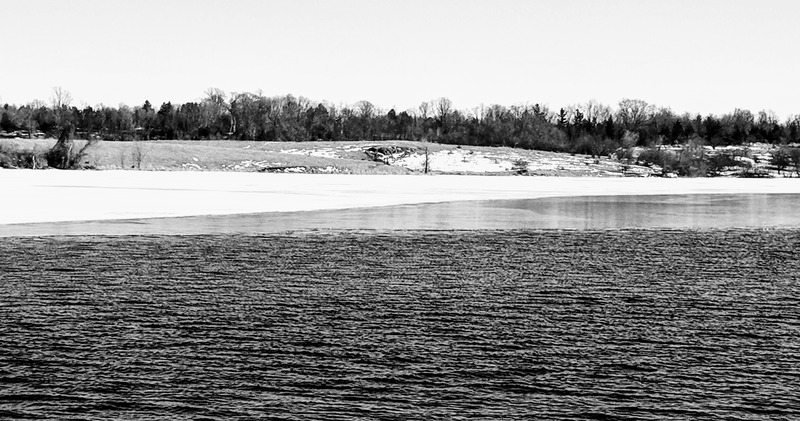 I see the lake existing as thick white ice, clear glass and sparkling open water simultaneously and something inside me whispers ‘yes!’ in affirmation and recognition. In focusing on the subtleties and nuances of this time between winter and spring, I am newly comfortable in my own space of between. At another level, I am aware that I carry all the seasons within me, and can draw on the riches of each as I need or choose at any given time. Finally, there is the part of me that responds to the turning of the year, increasingly delighting in the changing rhythms that inform my living in both the exterior and interior worlds. Now, in this time of increasing intimacy with both the natural and the inner world, each season, each new manifestation, each day of brilliant sunshine or unrelenting rain, each moment, is becoming equally precious. This is becoming almost as true for the seasons of the soul as those of the year’s turning. I try to sit with each, knowing that all things pass.